How Kreato CRM helps Sales Executives to perform daily activities efficiently, be more productive and successful. Sales Reps are the people who actively participates in the sales activities, engaging with prospects & customers to bring in new or more sales. They go through simple to complex decision making process throughout their day whether they work on finding the next lead to target or prioritizing their tasks. 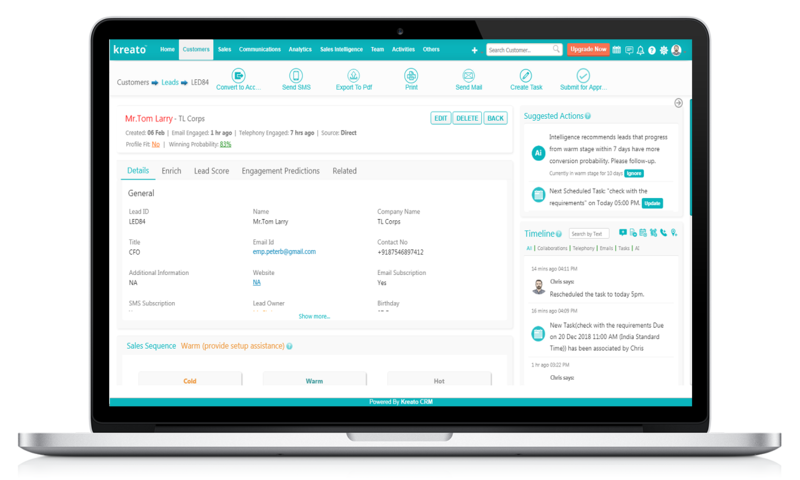 Kreato focuses on the core needs of Sales Reps and empowers them with tools that complement their skills and intelligence that augments their abilities to close more deals. Sales Reps have all the data on leads & opportunities centralized and housed in CRM which they can leverage easily to track and close deals. Kreato automates many of data entry & repetitive admin tasks so Sales Reps can spend more time on selling. 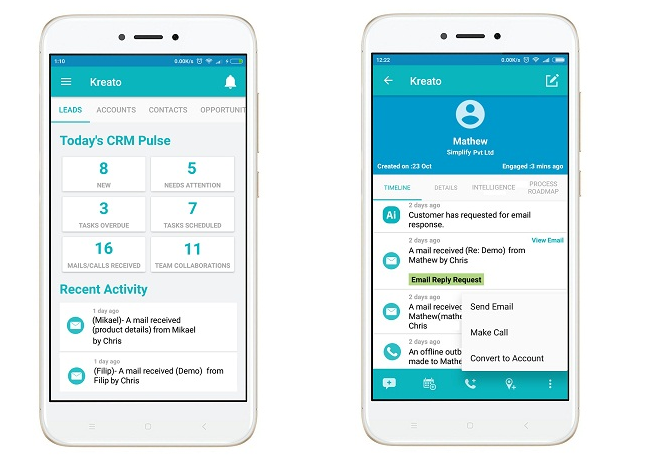 And Sales Reps can perform all customer engagements – calls, emails & texting all from within Kreato. Kreato also helps Sales Reps with Sales Sequence, that defines step-by-step sales activities for closing deals and helps to reduce the length of their sales cycles. AI/ML techniques are effectively applied in Kreato to help sales reps in executing daily prospecting activities efficiently, improving engagement efficiency and making intelligent decisions quickly.